When Is Day of Asturias 2019 in Asturias? The Day of Asturias (Día de Asturias) is a public holiday in Asturias in Spain on September 8 each year. It marks the birth of Mary, mother of Jesus. Is Day of Asturias a Public Holiday? Day of Asturias is a public holiday in Asturias. It is a day off for the general population, and schools and most businesses are closed. Basilica de Covadonga, Cantabria, northern Spain. Tastings of traditional Asturian foods and drinks, such as seafood dishes, a rich bean stew (fabada asturiana) and apple cider (sidra). Asturias' flag is widely displayed during this time of the year. The Day of Asturias is a public holiday in the autonomous community of Asturias on September 8. Public life is generally quiet. Many businesses and other organizations are closed. Many stores are closed but some bakers and food stores may be open. Public transport services generally run to a reduced schedule but there may be no services in rural areas. Large events may cause some local disruption to traffic, particularly in town and village centers. Regional or local authorities may move the public holiday to a different date, particularly if September 8 falls on a Sunday. If September 8 falls on a Tuesday or Thursday, many businesses and organizations are also closed on Monday, September 7, or Friday, September 10. September 8 is not a public holiday in other parts of Spain, except in Extremadura where the Day of Extremadura is a public holiday. The Moors gained control of the Asturian region in the year 711 CE. The Battle of Covadonga was the next major Christian victory in Iberia. It is thought that this battle occurred around the year 722 CE. The Christian troops attributed their successes in this battle to a statue of the Virgin Mary that they had placed in a cave near the village of Covadonga. The law declaring September 8 to be the Day of Asturias was enacted on June 28, 1984. This date was chosen as it is the day on which the birth of Mary is traditionally celebrated. The public holiday was first observed on September 8, 1984. The Virgin of Covadonga is a statue of the Virgin Mary in a chapel in a cave. The cave is close to the village of Covadonga in the autonomous community of Asturias. The Virgin of Covadonga is also the patron saint of Asturias. 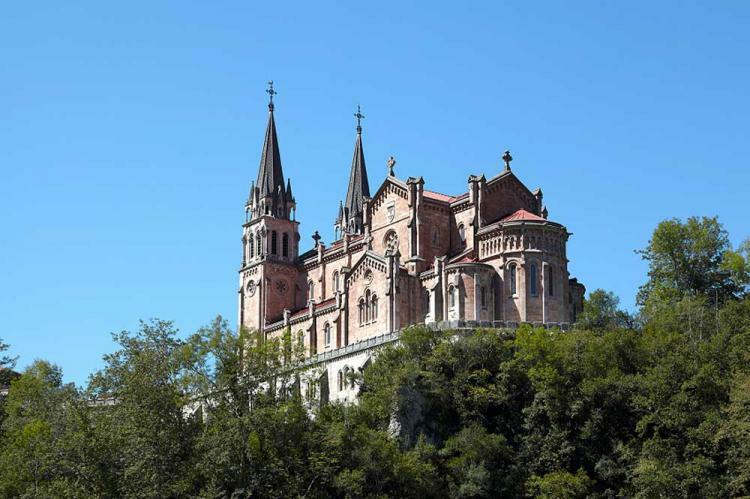 The statue, chapel and cave in Covadonga are important symbols of the Day of Asturias. The wooden Victory Cross is also an important symbol of the principality and Day of Asturias. King Pelagius of Asturias carried it into the Battle of Covadonga. King Alfonso III of León ordered that it was covered with gold and precious stones in 908 CE. The Victory Cross is now in the the Cathedral of San Salvador in the city of Oviedo. It is depicted in yellow on a blue background on the flag and coat of arms of the autonomous community of Asturias.